I love teaching our child about the different Winter holidays, and last year I hosted in our home a Cultural Playdate: “Celebrating 中國新年 (Chinese New Year).” This year I hosted a one-day Kwanzaa Winter Holiday camp for ten of my son’s friends 5 years and under. 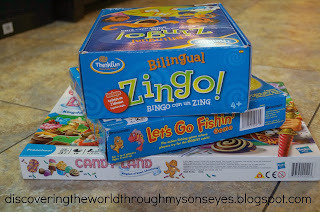 The fun part about this camp that it was bilingual! 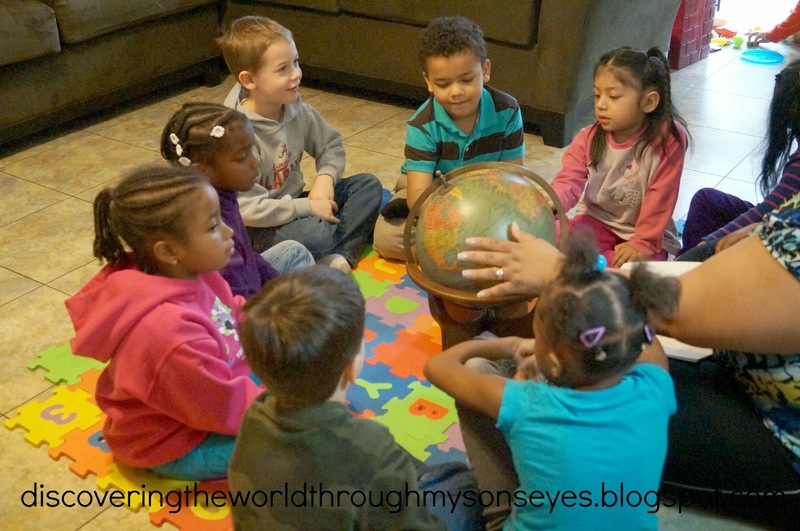 I invited little one’s new Spanish speaking friends so I was translating English to Spanish; and then Spanish to English for the other children. 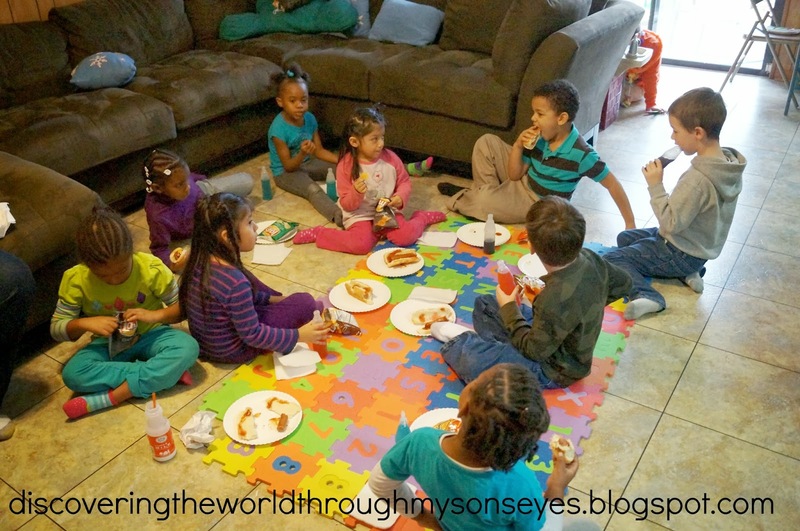 10 kids for 5 hours requires a program, and a schedule! And, four extra adult hands! Thank goodness I had 2 moms who are dear friends of mine help me too. We split the children by groups for the activities, and board games. We ended up with three groups which was manageable and organized. For the activities, printables, and crafts I used Celebrate the Winter Holidays! : Sensational Activities & Background Information That Help Kids Learn about and Appreciate Five Important Holidays. 10:15 – 10:30 a.m. We sat in a circle to sing the intro song ¿Cómo te llamas? by Hap Palmer. After the introductions I explained to them that just as we celebrated Christmas other cultures celebrated different Winter holidays such as Kwanzaa. Kwanzaa is a week long celebration held in the United States observed from December 26 to January 1 each year honoring African culture and heritage. 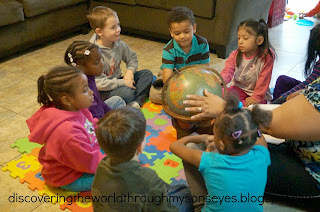 I showed them on the globe where Africa was located and how far it was from where we live. 10:30 – 11:15 a.m. Special Agent Oso’s Holiday Lights Special on Disney Jr. Oso travels around the world to help three kids prepare for three different Winter holiday celebrations: Celeste in France celebrates Christmas, Noah in Israel celebrates Hanukkah and Brayden in the U.S.A. celebrates Kwanzaa. 11:15 – 11:45 a.m. Kwanzaa craft- make a mkeka. It’s a special woven straw mat used during the celebration feast. It represents tradition. For instructions on how to make one click here. 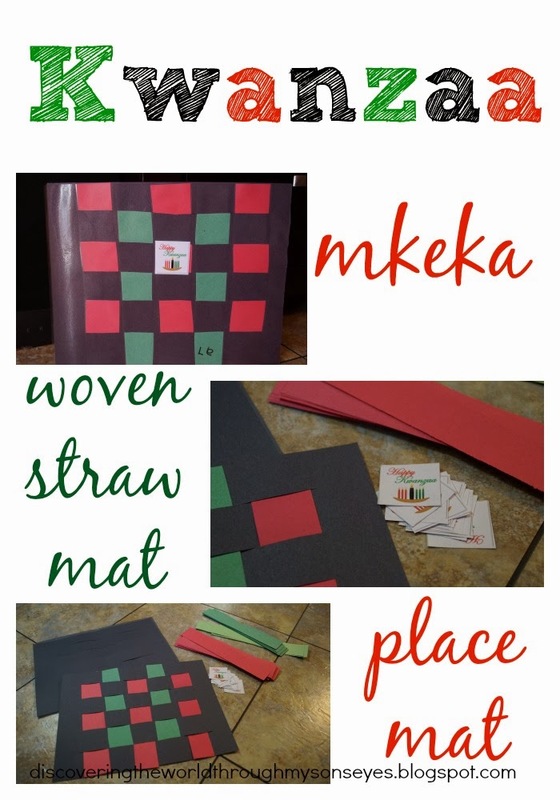 12:30 – 1:30 p.m. Kwanzaa craft – finish the mkeka and make a kinara. Kinara is a candle holder. It holds one candle for each of the seven days of Kwanzaa. Each candle represents seven principles; unity, self-determination, responsibility, cooperative economics, purpose, creativity, and faith. For each day a candle is lit. The coloring page was from the book. 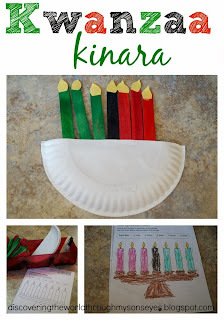 For the kinara we used half of a paper plate, jumbo red, green and black craft sticks, glue, flame cut-outs, and tape. 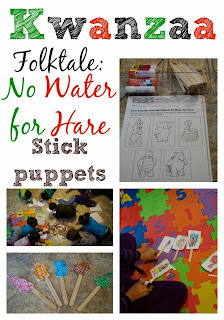 1:30 – 2:00 p.m Story time: Folktale No Water for Hare and puppet stick craft. 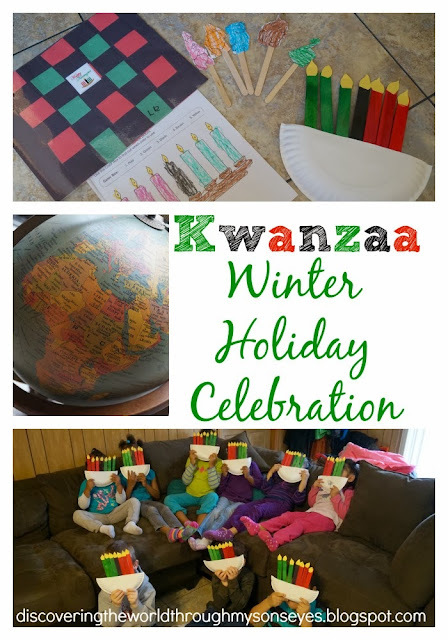 During Kwanzaa many families enjoy sharing stories of morals or lessons related to the seven principles of Kwanzaa. The folktale No Water for Hare is a story of collective work and responsibility. It is a Nigerian story of a group of animals that work together to dig a water hole-and then all enjoy the end result: drinking fresh water. This story can be found in the book referenced above. 2:30 – 3:00 p.m. Story time and yoga with Sofia en una Aventura por la Selva: A Fun and Educational Kids Yoga Experience (Spanish Edition) adding yoga to a full day of activities was perfect to wind them down for the day. After that I they snacked on some popcorn as they waited for their parents. They were all happy, and excited! 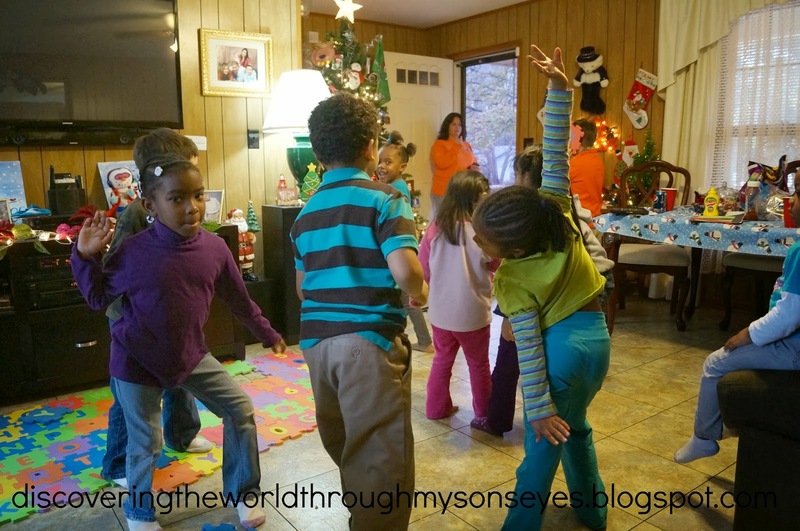 Going home with the knowledge of how Kwanzaa is celebrated in the U.S.A.
Do you or your family celebrate Kwanzaa? I would love to hear from you! 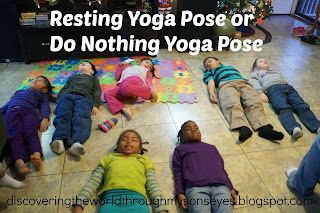 Comment, like, share or pin. Disclaimer: Amazon affiliate links are used in this post. If you click on it, and purchase I will receive a small monetary compensation.